Biblical scholar of the eighteenth century. He was the author of "Miẓnefet Bad" (The Linen Miter), Zolkiev, 1747, a series of dissertations on the arrangement of the Pentateuch, divided according to the weekly sections. He should not be confounded with Alexander Süsskind ben Moses of Grodno. 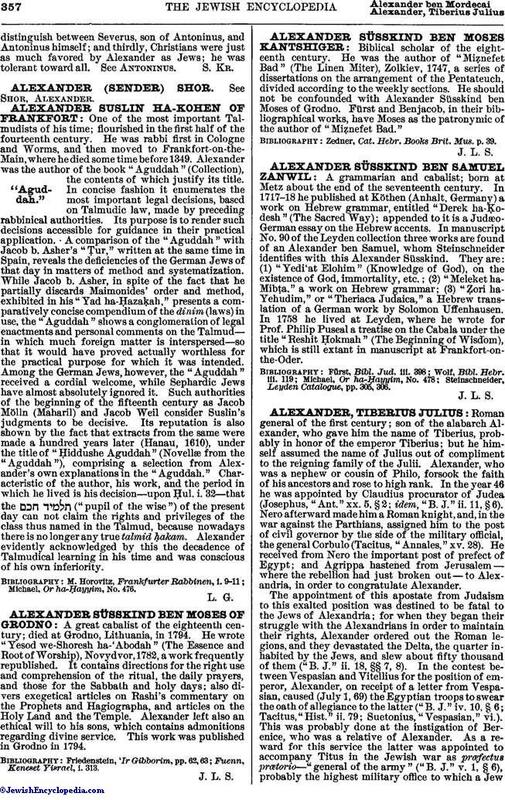 Fürst and Benjacob, in their bibliographical works, have Moses as the patronymic of the author of "Miẓnefet Bad." Zedner, Cat. Hebr. Books Brit. Mus. p. 39.